Banks and financial organisations are responding to the demands of their customers by continuing to innovate around the customer engagement process. With an ever increasing need to cater for customer not present transactions, banks are experimenting with new ways to service both corporate and retail customers. Traditional bank branches are often located in prime high street or shopping centre locations and many banks are facing a need to streamline their branch operations. At the same time, there is still a need to engage with customers to securely handle all manner of traditional teller based transactions such as loans and mortgage processing, overdraft services and financial product sales. This needs to be served up in a secure yet agile manner and there is only so much that can be devolved to the mobile channel. For some transactions, a closer link to the bank’s sales staff is needed. In some locations, this is giving rise to a new style of kiosk banking. For example, banking terminals with a video link to maintain the relationship with the bank’s sales advisors are becoming more popular. This can provide flexible options for customers to transact out of hours at convenient locations. With a footprint that is far smaller and far more cost effective than a regular branch, the kiosk can be conveniently sited in towns and cities, in shopping malls, hospitals, college and corporate campuses. With a lower running cost than a branch with staff, it can be located in rural and semi-rural locations in local shops to provide services in areas not traditionally served by bank branches. Being semi-mobile, it can be trialled in different locations to test the customer impact in order to find the best sites. The kiosk concept is also gaining popularity in regions around the world where it can be a key tool to provide a range of services in areas where banking inclusion has traditionally been low. Equipping kiosks with strong authentication tools based on biometrics allows branch transactions such as opening new accounts, to be performed remotely in a secure manner. When video is deployed alongside biometrics, the kiosk becomes a full service platform for deployment at almost any location for the bank’s customers. 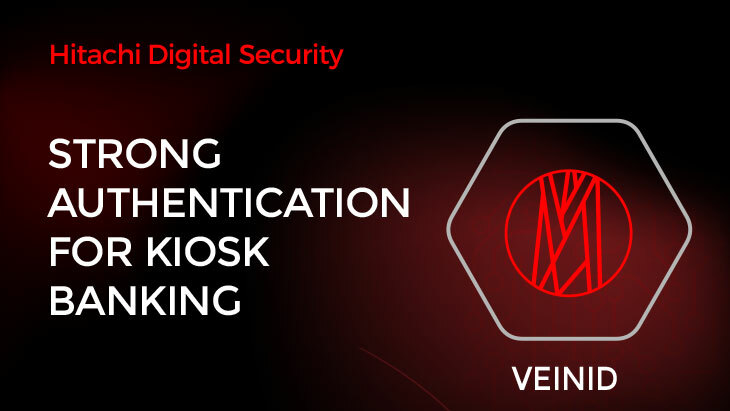 Widely used in self-service banking transactions, Hitachi’s VeinID biometric solutions are an ideal tool when considering kiosk authentication. 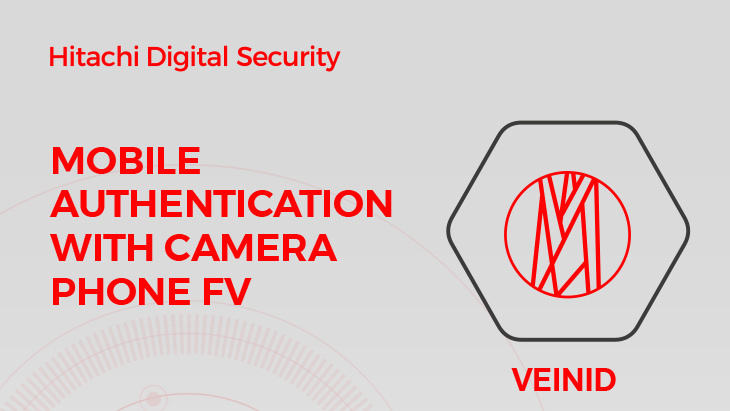 Simple to use as well as highly secure for both retail and corporate customers, finger vein authentication means that customers can transact remotely in the knowledge that their identity will be safe. With the biometric data being inside the body, finger vein biometrics cannot be compromised in the same way as other external biometric modalities such as voice, finger, face and iris. This privacy compliant biometric tool provides fast and flexible strong authentication while ensuring that the bank stays on the right side of the GDPR regulations. Hitachi deployed a network of VeinID equipped video banking kiosks across a number of large shopping centres for a European bank. This allowed the bank to market-test the concept for kiosk banking and to assess the impact on both existing customer behaviour and new account opening. They found that the provision of a wide range of banking services in a convenient place outside of normal branch opening times, proved to be very popular. 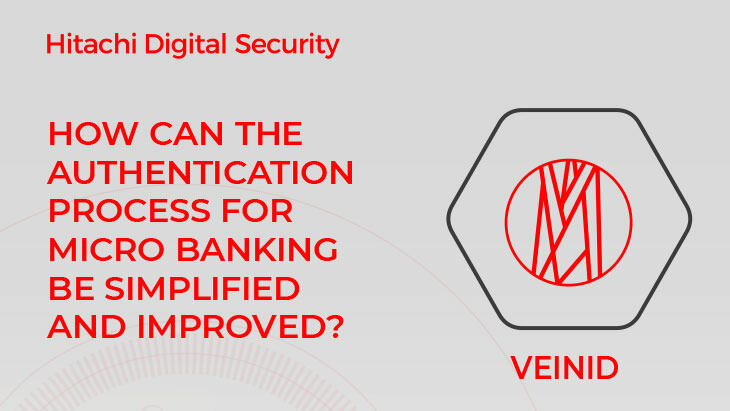 If you would like to talk to us regarding how our world famous VeinID biometric authentication technology could be used in your kiosk banking strategy then please contact us at: Banking.Solutions@hitachi-eu.com.